What is Kasama? A word that means togetherness, friendship, camaraderie and collaboration, which is exactly what our chocolate is all about! 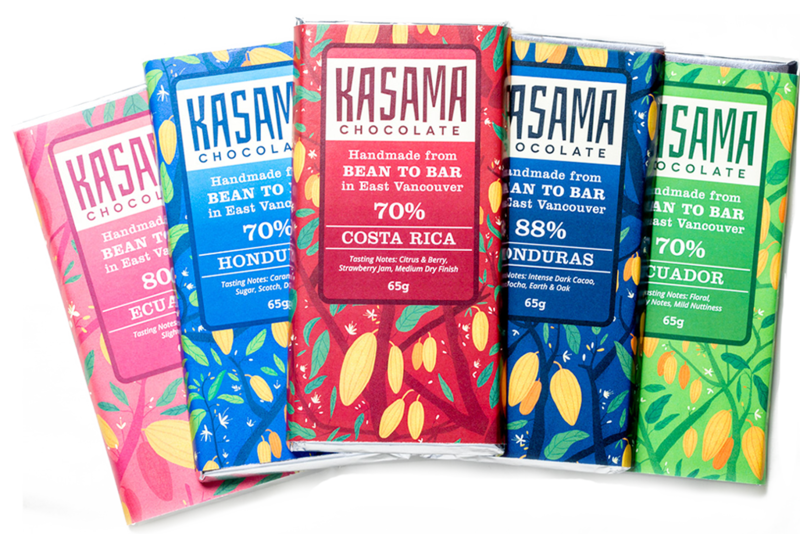 Kasama Chocolate is a group of four friends: Stefan, Dom, Oliver and Vince who make small batch, hand crafted, bean-to-bar chocolate and truffles in East Vancouver, BC. It all started when Vince’s dad, Mario, sent a picture of himself holding some mangoes on their small family property in the northern Philippines. 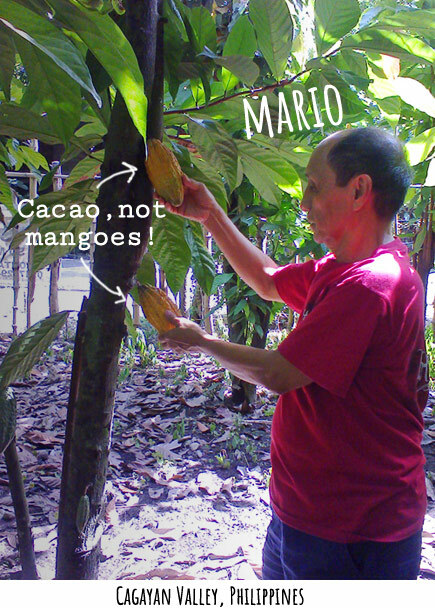 The only problem was that those weren’t mangoes, they were cacao pods hanging from the branches of a cacao tree! One fateful evening, the friends decided to meet up for beers at their favourite watering hole, St. Augustine’s on Commercial Drive, a weekly ritual at the time. Vince nonchalantly broke the news about cacao pods growing on the family property. It wasn’t a big deal until Stefan and Oliver suggested that it would be great if Mario could bring back some samples to see and taste. A month later, they had a ziplock bag full of dried, fermented cacao beans from the Cagayan Valley. And what do you do with cacao beans? You make chocolate of course! 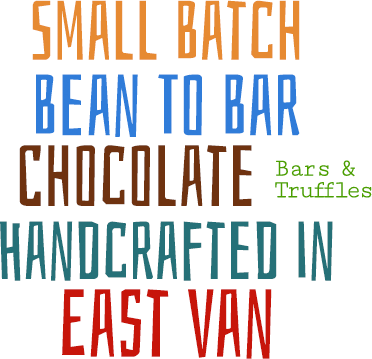 And so began their adventure into the wild world of bean-to-bar chocolate making. 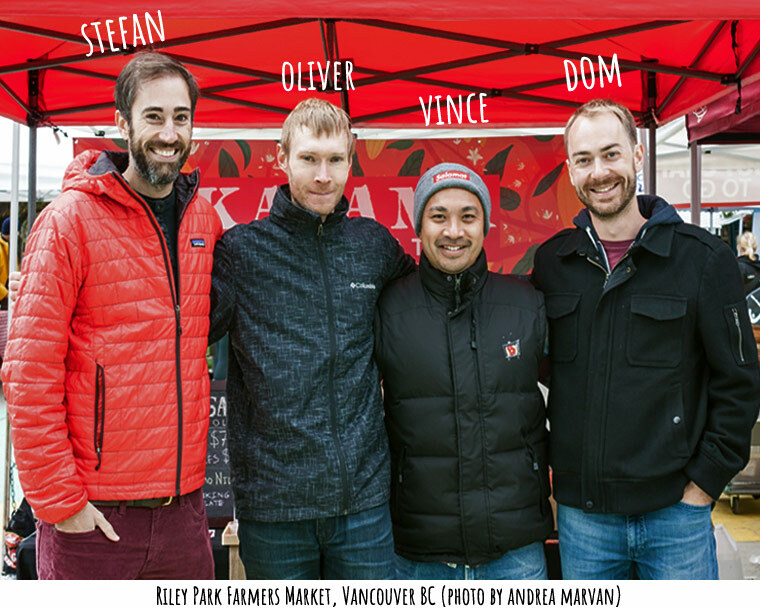 Read more about our story in the Edible Vancouver: Almost Spring 2018 issue. Showcasing our latest products and keeping you updated on upcoming markets and events.